You’ve done everything you were supposed to do: paid your taxes, filed on time … or so you thought. So what do you do when you get a notice of tax due from the state? Don’t put the notice aside to deal with later. Take care of it immediately, because it will escalate into second and third notices and eventually could lead to a tax lien. Even if you know the notice is incorrect, it won’t go away on its own. If you feel like you’re in over your head, you probably are. If you’re trying to dispute something based on an interpretation of a state tax law or you are dealing with the IRS, then you should definitely have a professional advocating on your behalf. 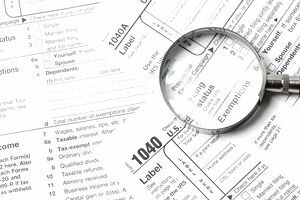 You should contact an Enrolled Agent (EA), Certified Public Accountant (CPA), or tax attorney before you do anything. These are the only people who are allowed to represent you before your state tax agency. If you have a simple issue like a missing payment or a missing form, then that’s probably okay to handle on your own. Calling the state is the least effective and least efficient way to handle a state tax dispute. The reason? First off, State tax departments are usually understaffed and overwhelmed. Secondly, call centers are not manned by tax experts. The people working in the call centers usually have training in customer service and little actual tax knowledge. And lastly, they’re probably going to want documentation that you can’t give over the phone anyway. So, unless your tax issue is very simple or you are able to speak with the actual auditor/adjuster assigned to your case, don’t expect to resolve the issue over the phone. A phone call can be valuable if you ask the right questions. Ask for the name of a specific person to write to or call about your issue, if there is a specific procedure for protesting a tax assessment, what type of documentation they need from you, and to what address you should send a protest letter. For a dispute to be successful, you need to have documentation to support your claims. For example, if the state is claiming you didn’t make a payment that you actually did, make sure you have bank records to back up your claims. A canceled check is best, or a bank statement if you paid electronically. This letter is not a place to vent your anger. Think of this letter as a persuasive argument for your case, and make sure you have evidence to support all of your claims. It is absolutely essential to include your social security number (or other tax id number used on the return in question) and the notice number (if included on the notice you received). If your letter doesn’t have this information, they won’t be able to help you. Be sure to attach copies of any relevant documentation and note the attachments in the letter. Most importantly, do not admit any fault in this letter, send partial payment or make a promise to pay. Mail the letter by certified mail so you can be sure that it is delivered and signed for. Emailed letters are rarely answered. Give the letter a couple of weeks to get processed, and then follow up with a phone call. Some states enter correspondence into a computerized registry and might be able to tell you if it was received and who is handling it. Note: This article is written in general terms and is not intended to be a substitute for specific advice regarding tax, legal, accounting or other matters. While all reasonable care has been taken in its preparation, the author accepts no responsibility for any errors it may contain, whether caused by negligence or otherwise, or for any losses, however, caused, sustained by any person or entity that relies on it.